Right now it’s easy to earn a boatload of American Airlines miles quickly. It’s realistic that you could have 0 miles today and 237,000 miles in as little as a month from now (maximum seven months from now, more likely somewhere between those two time frames), by opening a combination of four new credit cards–two consumer cards and two business cards–from Citi and Barclaycard. 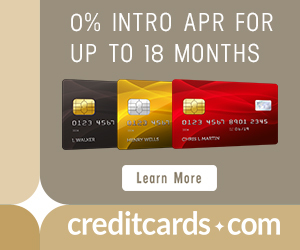 Recently in Part I of this post, I went over how to earn all those miles, with specifics on card and bonus eligibility and the best order to apply to improve your chances of approval and decrease your chances of hard credit pulls in vain. Today in Part II, I’ll cover exciting ways to burn that stash of miles. Warning and why you should American Airlines miles are still worth caring about: Yes, American is known for having crappy award space on their own planes that has improved marginally as of late, but overall isn’t widely available. But that doesn’t stop you from redeeming their miles on oneworld carriers around the world in luxurious premium cabins. The Citi / AAdvantage Platinum Select MasterCard is now offering 60,000 bonus American Airlines miles after spending $3,000 in the first 3 months. The CitiBusiness / AAdvantage Platinum Select World MasterCard is offering 70,000 bonus American Airlines miles after spending $4,000 on the card in the first three months. The Barclaycard AAdvantage Aviator Red World Elite MasterCard is offering 50,000 American Airlines miles after just one purchase (and paying a $95 annual fee). The Barclaycard AAdvantage Aviator Business MasterCard is also offering 50,000 American Airlines miles after just one purchase (and paying a $95 annual fee). This offer ends after July 29, 2018. For further info and strategy applying, read Part I of this two part series. Not all of the examples of redemptions below do not require the amount of miles earned from all four bonuses. Some would work with just two or three bonuses. Fly two people roundtrip between the US and Japan or Korea in Japan Airlines Business Class for 240,000 American Airlines miles, or fly yourself roundtrip in Japan Airlines First Class for 160,000 American Airlines miles. Japan Airlines First Class is among the best in the world, and is the best value award from the United States in terms of duration and partner product on the American Airlines oneworld alliance award chart. Japan Airlines First Class between the United States and Japan costs 80,000 American Airlines miles one way. Here’s how to search for award space on ba.com (you won’t find Japan Airlines’ award space on American Airline’s website). The best time to look for JAL First Class award space is when the schedule opens (11 months out from departure), or in the last week(ish) before departure. Otherwise keep an eye out for blog posts noting a surge of availability. Business Class award space should be easier to find. You’ll need to call AAdvantage to book once you find your desired award. American Airlines miles used to be the cheapest way to book JAL First Class. Now they are the second cheapest, next to Alaska miles (who will also let you include a free stopover). That being said, it’s easier to get a lot of American Airlines miles quickly right now than it is to get a lot of Alaska miles quickly. Fly yourself roundtrip between the US and Southeast Asia in Cathay Pacific Business Class for 140,000 American Airlines miles, or Cathay Pacific First Class for 220,000 American Airlines miles. Yes, it’s much cheaper to redeem Alaska miles on this same award (100k Alaska miles in Business, or 140k in First) but if you’re starting from scratch, like I said above, it’s easier to get a bunch of American miles at once than it is Alaska miles. Much like JAL’s First Class award space patterns, you’ll find the most available 11 months out, and then again within a week of departure. Search on ba.com, and call AAdvantage to book. Fly yourself between the US and the Middle East or Indian Sub-Continent (like the Maldives) roundtrip in Etihad Business Class for 140,000 American Airlines miles, or in Etihad First Class for 230,000 American Airlines miles. You can try the famous Etihad First Class Apartment if you fly on the A380 between New York and Abu Dhabi, the most luxurious suite in the sky. And you don’t have to stop in Abu Dhabi… it costs the same amount of American miles to just connect there and fly on to the Maldives. Last year, booking Etihad award space with AAdvantage miles spanned from tricky to at one point impossible, as AAdvantage agents in offices across the world couldn’t see the award space that was displaying on etihad.com (note: Etihad award space is not shown on aa.com, you must look on Etihad Guest’s website for GuestSeat space which is Saver level and therefore bookable with partner miles). Even the trick of calling Australia’s AAdvantage office stopped working. Those agents are better at finding it. 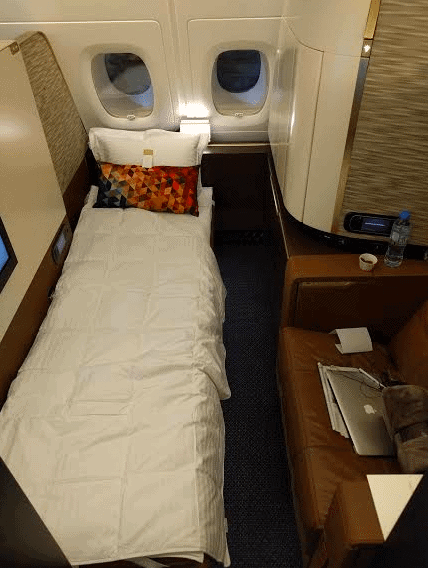 Generally Etihad premium cabin award space tends to be pretty good throughout the calendar, with even more (especially First Class) award space opening up in the last three weeks before the travel date. Booking Etihad premium cabin award space might require some patience, but it’s definitely worth it for their top-shelf products. Remember that AAdvantage never collects fuel surcharges, so you’ll only pay for (unavoidable on ANY award ticket) taxes. You’ll also get 10% of your miles rebated (up to 10,000 max, total, annually) as a benefit of the Citi / AAdvantage Platinum Select MasterCard, making all the awards above a little bit cheaper. There are multiple ways to earn heaps of American Airlines miles right now, depending on what cards you’ve opened/closed in the last 24 months. Learn more in Part 1 of this series which goes over how to earn 237,000 miles in one to seven months from now. Use your miles to fly to Asia in Japan Airlines or Cathay Pacific Business or First Class, or redeem them on Etihad for an epic trip to the Maldives via Abu Dhabi, with the JFK to Abu Dhabi leg in an actual flying apartment in the sky. These kind of redemptions will get you a ridiculous return on your spending as the product you’re redeeming for costs thousands and even tens of thousands of dollars. Not sure if the American Airlines miles are right for you? Fill out this form for a Free Credit Card Consultation. 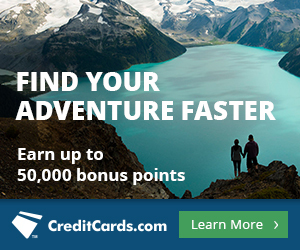 You tell me where you want to go, what miles and points you already have, and your recent credit card history, and I recommend the best cards to help you accomplish that travel goal. Previous articleSPG Point Sale Extended through July 20: Buy for Major Discounts in August! I know this article is about AA miles uses, and I just used 115,000 miles to book MLE-AUH-JFK on Etihad, however I am trying to book the same itinerary using Asiana miles and the agents in California cannot seem to find the same availability even though it shows up on Etihad website and expertflyer. Any tips for that?